Get Help & Advice. Call 01454 800457 Today. Bevan Evemy Solicitors has its head office in Chipping Sodbury, only 10 mins from Wickwar. We can easily meet clients at head office or at a more convenient place. Simply let us know. 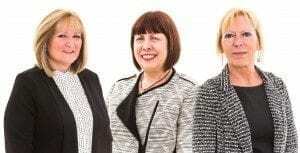 Our team of solicitors regularly help people and businesses in Wickwar with family law, employment law, legal disputes and private criminal work / road traffic offences. Have a question? Simply get in touch here or book a free consultation at our head office. Out of office appointments by agreement. Book online or call us on 0333 320 8600. Do We Have A Wickwar Office? The head office of Bevan Evemy Solicitors is located in Broad Street, Chipping Sodbury, but it’s really not far from Wickwar. Free legal advice appointments at Yate Library on the first Saturday in every month. "I truly believe the successful conclusion of my matrimonial matters was down to Bevan Evemy Solicitors. To say my divorce was complex, and an up and down rollercoaster is an understatement. The professional approach, along with the natural gentle calming nature made the situation a lot more bearable. Bevan Evemy’s expertise and knowledge throughout was outstanding, and they always explained complicated court procedures in laymen’s terms and was extremely supportive, nothing was too much trouble. They always went 'above and beyond'." "I have recently had cause to use Bevan Evemy Solicitors for employment advice and found them to be extremely professional in their approach and able to respond quickly to all my questions with sound advice. This was the first time I had used this company and would not hesitate in recommending them for any legal advice you may require." Put your postcode into the box below the map to find out suggested routes to our head office and how long it will take. You can also use Google Streetview to take a look at the streets around our office – simply pick up the orange man on the left of the map and dropping him near our office. Bevan Evemy Solicitors is authorised and Regulated by the Solicitors Regulation Authority (www.sra.org.uk) under ID Number 607770. Website designed by Blazen Web Marketing.